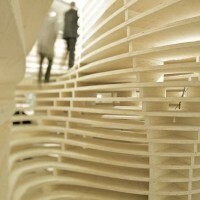 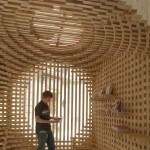 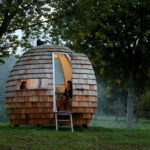 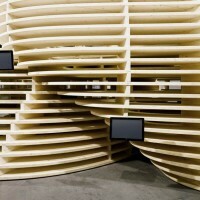 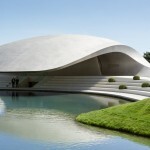 Zurich-based Frei + Saarinen Architects have designed the Lignum Pavilion. 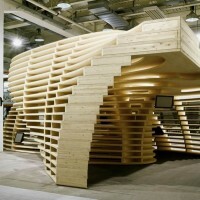 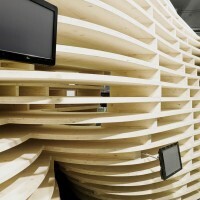 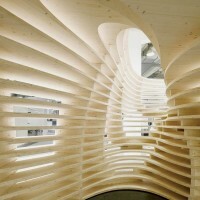 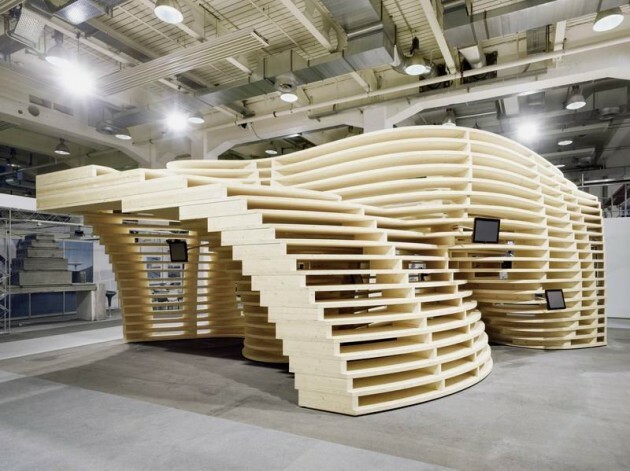 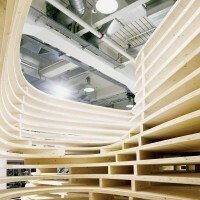 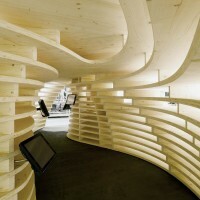 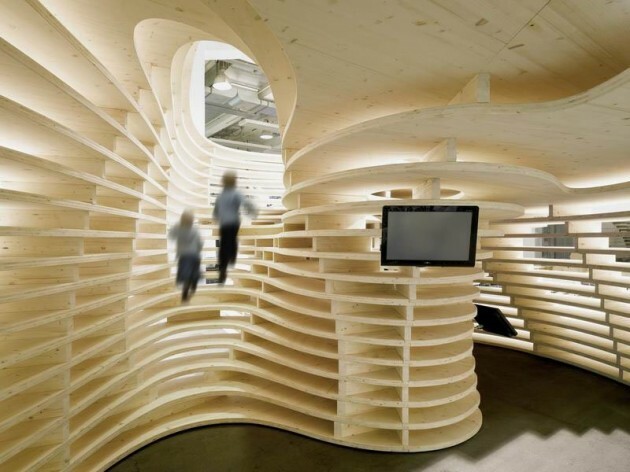 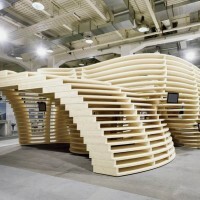 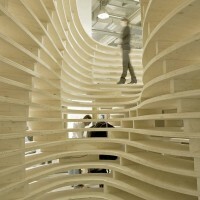 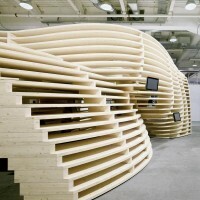 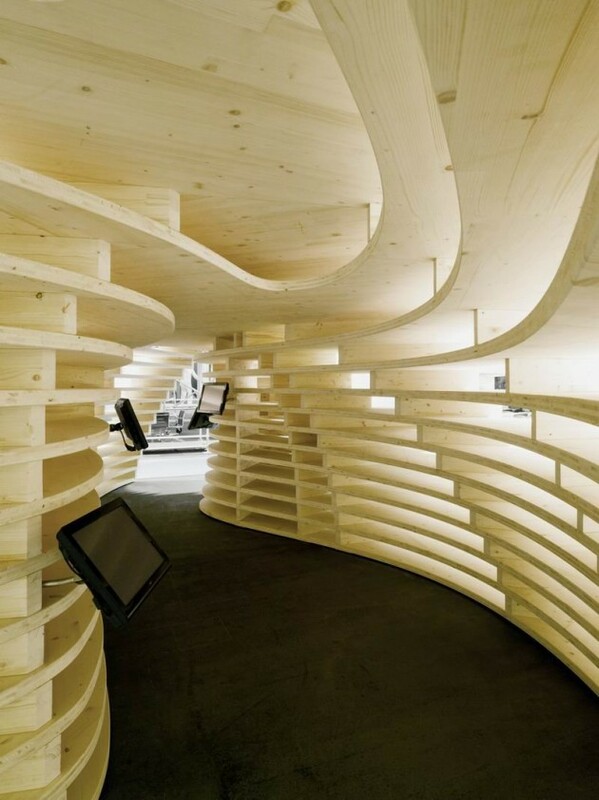 Lignum is the Swiss information centre concerning the use of wood. 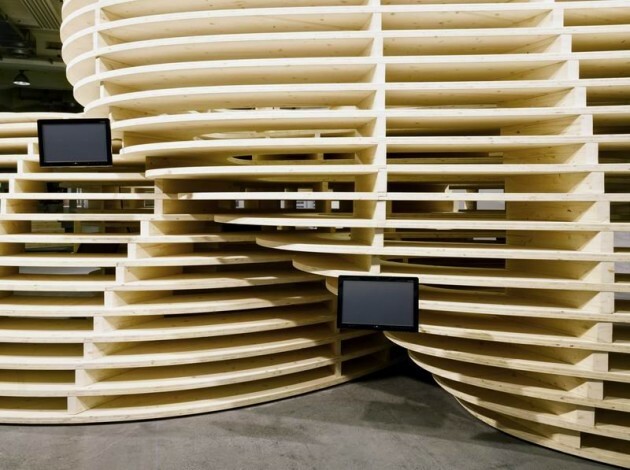 Frei + Saarinen Architekten were asked to design an exhibition pavilion that shows a contemporary use of wood for architectural purposes. 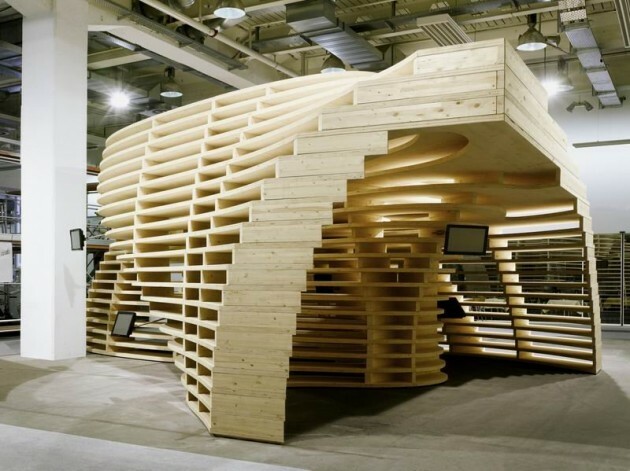 The Lignum Pavilion is a walkable pile of 20 layers, consisting of 50mm-thick planes and vertical elements of 130mm in height. 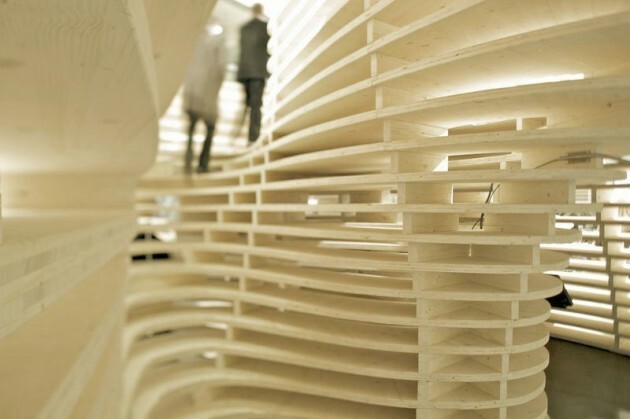 Similar to a pixelated image, these 20 layers form an architectural body that leads the visitors through an architectural promenade in the shape of a spatial ‘figure eight’. 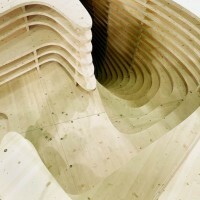 All 541 wooden pieces are cut by a cnc mill. 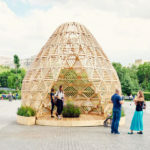 The pavilion will be used ten times during a period of three years.